As an Axis LMS administrator, you have the ability to noticeably and immediately change the User Interface. And while the interface does make a big impact on a how the user interacts with your system, there’s a lot more you’re able to do to make a more cohesive User Experience. The user interface allows you to dictate who can access what content, and when that content becomes accessible. With three primary levels of interface to design, your decisions will form the broad strokes that your system is built upon. The Account Website allows you to help your visitors become users with a preview of your system without even having an account to sign into. The Learning Portal gives your active users a central hub to return to, and to be able to navigate away from to access all their Online Courses. 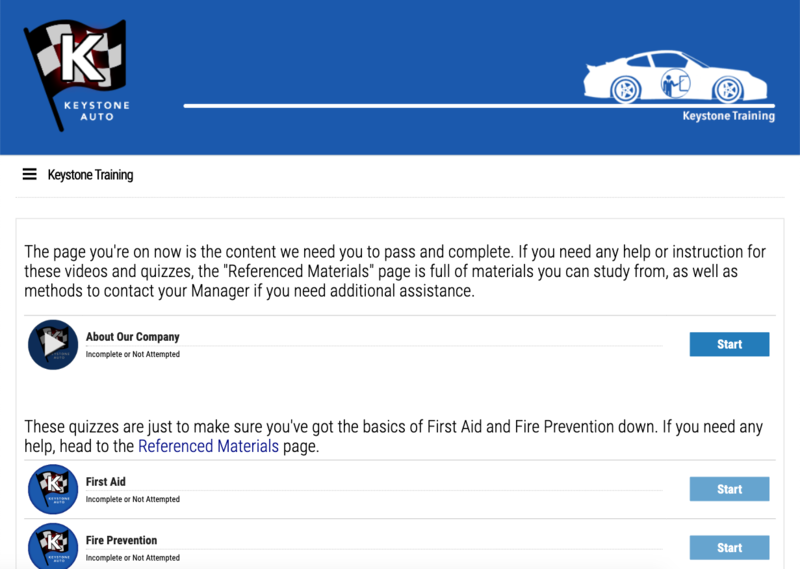 And your Courses provide a concentrated view of different subjects, with quizzes and resources to help support your users’ training. Learn more about customizing the different levels of your User Interface here and here. After you’ve designed your user interface, you’ll need to start considering how your content reacts to different user scenarios. A great example to apply this concept to is your Graded Quizzes. 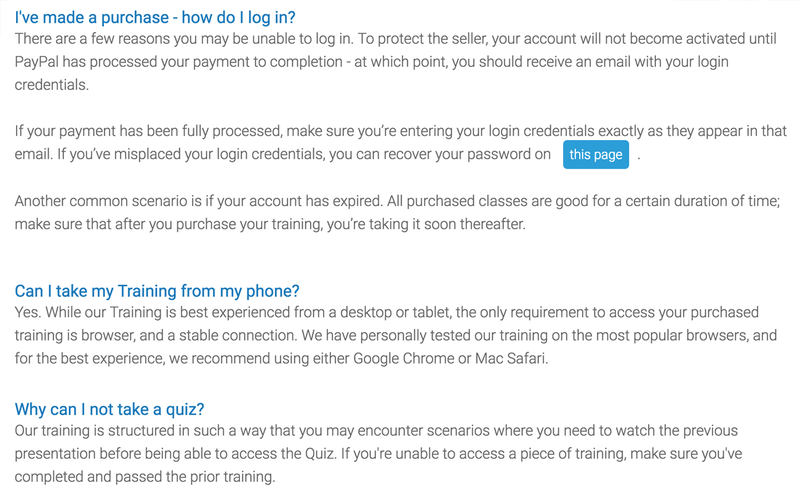 It’s universally expected that your users to complete the quiz, but there a couple of things to consider. How are they reaching that completion? Should Passing the quiz lead to the same scenario as Failing it? Some admins may choose to stop a user from accessing the quiz again after they’ve Passed it. Others have requirements to only give their users a certain number of attempts to Pass. And if a user Fails the quiz? They should be dis-enrolled, and take some additional training in another course. These different, branching routes allow you, as the admin, to tailor the User Experience in a way that’s easy to work with, and highly refine-able to adhere to your different guidelines and business practices. Learn all about the different settings you can select from in Graded Quizzes here. The last piece (that we’ll be discussing) of the User Experience is something outside the user interface, or specific settings; and goes into the realm of user assistance. While you have likely gone through your User Interface, and experienced countless different outcomes time and time again; for many users, they will be stepping into your Axis LMS environment for the first time. What has become obvious to you may not be as apparent to someone looking at it with fresh eyes. Before you take your Axis LMS system live, consider some of the different questions your users may have, and see how you’re able to make the answers to those questions available to your users. More common questions might be answered and added as a part of your User Interface, while less common questions might be something you have a user reach out to you about. 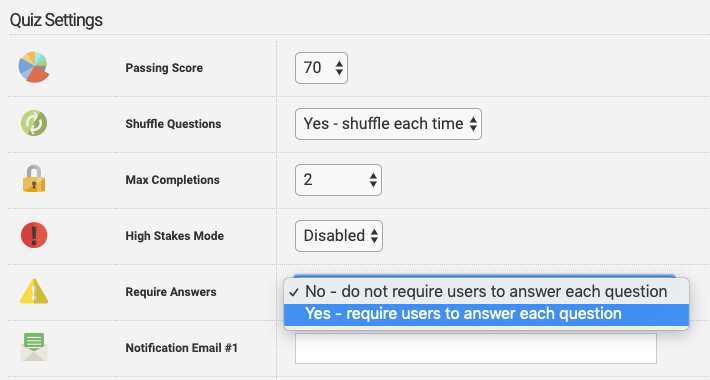 To provide your users with the best experience possible, making it easy to and intuitive to find answers to their questions will go a long way towards retention and usability of your system. While each business may have questions specific to their practices, we’ve put together some of the most common questions (and the answers!) users may pose when they are first beginning in your Axis LMS, here. You can use this as the beginnings of your own FAQ (if you choose to add it to your User Interface), or keep it handy should your users ever have a question about their account. This entry was posted on Wednesday, May 30th, 2018 at 3:51 pm	and is filed under ELearning 101. Responses are currently closed, but you can trackback from your own site.